Eating out with multiple allergies is not easy. Puddings are something ‘normal’ people eat, not us allergy types. We are quite content with a sorbet, if it’s dairy free which increasingly they are not so always check. But we usually only get a fruit salad. I love fruit but when you’re surrounding by people having the cheese board, sticky toffee pudding and profiteroles is does make you a bit green with envy. Fruit is not a treat, it’s something I eat as part of my daily healthy diet, so to come and stay at Ravenstone Manor and have a choice of at least five desserts every evening was a dream come true. There also wasn’t a fruit salad in sight. Well there was one on the menu as well as sorbet but they also had home made coconut ice cream and so much choice of ‘normal’ pudding I didn’t know what to do with myself. What would you have chosen from that little lot? Everything was wheat and gluten free. They were all nut free, dairy free, soya free and some could probably have been egg free but I don’t have to avoid egg so apologies for the eggy puddings I’m about to indulge in. There was also a different ‘special’ on the pudding menu every day which explains why many of the puddings I had below were not on that menu… I just couldn’t resist the Chef’s special. Now first of all, the shortbread. 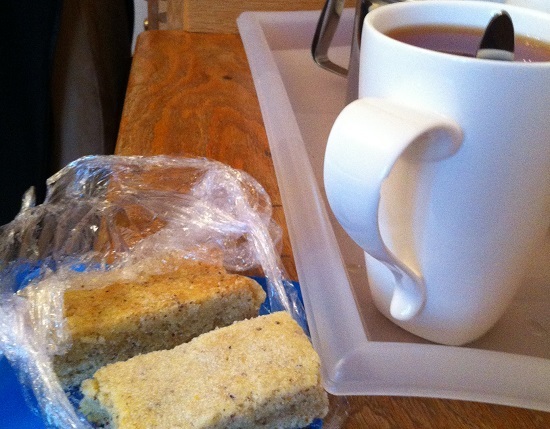 Not strictly a pudding but every day the chef made me this shortbread which was gluten, wheat, soya, nut and dairy free. What a treat! They were pretty awesome freefrom shortbread too. Really crumbly and sugary and just how I remember shortbread to taste. These were left in the room for when we got back from mountain biking in the pouring rain to walking up mountains without proper training. The legs, the legs. The legs were so sore, so imagine how lovely it was coming home to a special treat every day. There were gluten free biscuits provided but Ken wasn’t so keen on these – he preferred to have the second shortbread – good job there were two (I’m not good at sharing). 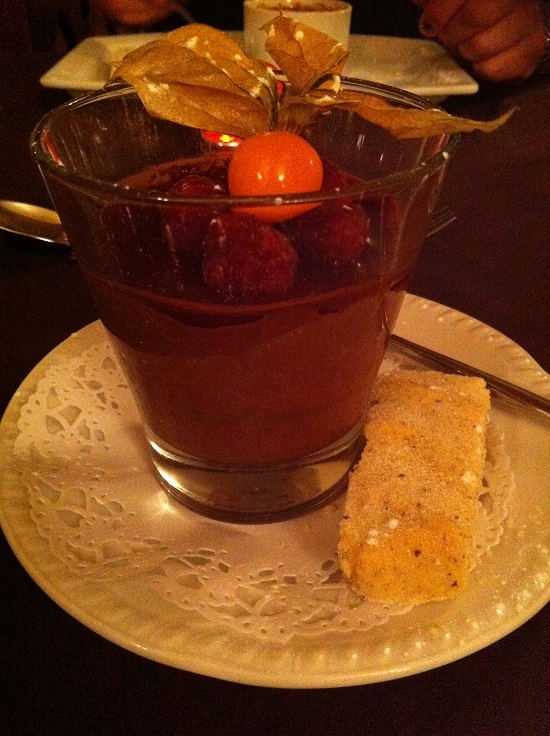 Chocolate fondant doesn’t really need much introduction. It was rich, creamy tasting and really flavoursome. It was, of course, gluten, wheat, dairy, soya and nut free. Everything was. I supplied some plamil dairy free chocolate for this recipe because it doesn’t contain soya lecithin, the chef checked what he had in stock and although it was dairy free it wasn’t guaranteed nut free or soya free so we brought some with us. I was more than happy to do this, especially if someone makes me a chocolate fondant out of it. It came with raspberries and more of that tasty shortbread. 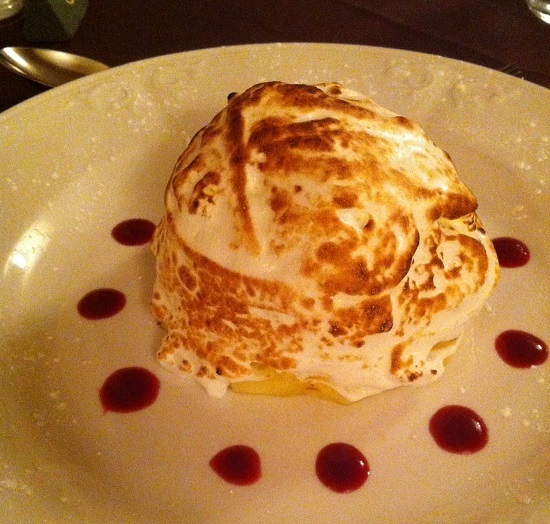 The Baked Alaska. What can I say. Having just recently watched contestants making this on the Great British Bake Off I couldn’t resist. I don’t think I’ve ever had this dessert before but it was massive. It was so huge I only managed about half but it was so smooth and tasty with the crispy outer layer. Definitely not the faint hearted. 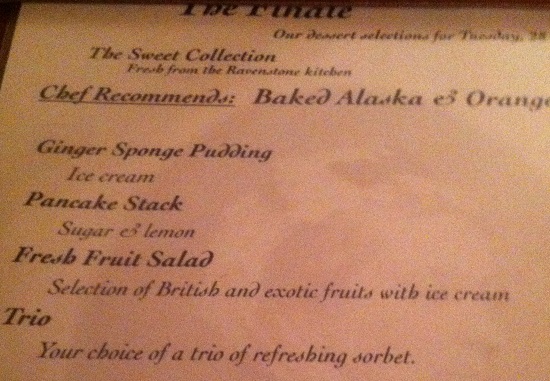 Finally the sponge pudding. 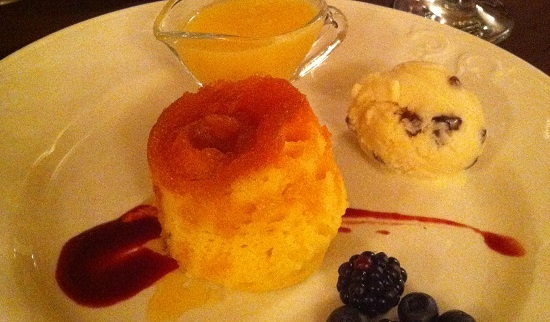 I think I had the ginger sponge pudding one night but I this one might have been the treacle sponge pudding. I love a sponge pudding and these didn’t disappoint. Really springy sponge, soft and moist and with the lovely treacle centre. Delicious and possible my favourite, although the chocolate pudding was also pretty epic. This pudding came with home-made coconut ice cream with blue berries I think. Really impressive and the chef has kindly shared the recipe for his ice cream with me because I was so impressed so I will share that shortly (when I’ve found it). If you have just found this blog for the first time you might like to read the other reviews on Ravenstone Manor which are shown below in ‘related posts’. Now it’s lunch time here and writing this has made me feel really very hungry. There are only apples and bananas for pudding today but I may have to sneak some of the special Coconut Collaborative frozen coconut yogurt to go with it, with a sprinkling of ginger chunks and a sprinkle of seeds. Who said fruit salads were boring? Has anyone else visited this place? Anyone else tempted? Where is your favourite place to go on holiday?